Medium Gripple® Plus 20pk, Gripple® Starter Pack, Livamol 10kg, Wind Up Reel, Promectin Plus Horse Paste 32.4g, Weedpak Hand Sprayer 5ltr. The Organic Market and Cafe, a leading organic retailer/cafe in Stirling, Adelaide, has won the Eco-Farms South Australian Organic Retailer of the Year 2009 Award. 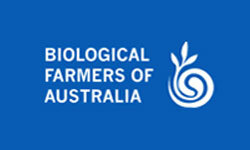 The award was a highlight of National Organic Week (NOW) which ran from 16 – 25 October showcasing approximately 130 organic awareness-raising events and activities around Australia. It isn’t easy trying to find the perfect horse. There are scores of horses for sale in the marketplace. Once you begin looking it can be very easy to ‘fall in love’ with the first one you see, making you overlook all of the important steps in buying. 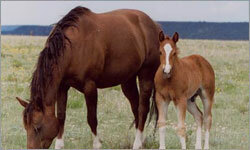 Loving horses aside, there are many things that must be considered before you even think of purchasing one. You need to look at things such as breed, colour, gender, type and conformation, as well as soundness, temperament, age, level of training and the horse’s suitability to you. 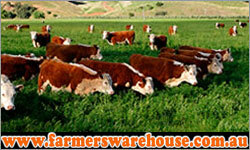 Farm Facts is updated and distribute annually. 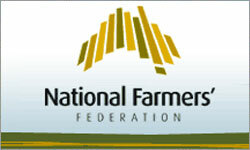 Farm Facts is designed as a fast reference to top-of-mind national and state-by-state facts on farm production and its importance economically and environmentally, as well as a reference for drilling down to specific figures on Australia’s leading agricultural commodities, namely: Beef, Cotton, Dairy, Dried Fruits, Grains, Rice, Sheep Meat, Sugar and Wool. Young Achiever - Congratulations Emily! 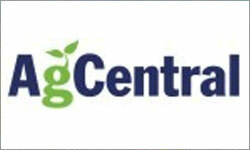 Saturday October 3rd, 4th & 5th saw the Wagga 2009 SYCA Heifer Show & Expo. 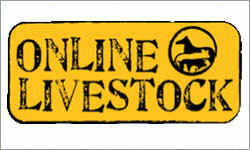 There was a great turn out of heifers and young shorthorn supporters at the event. 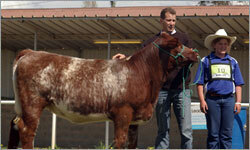 Left, David Leeds of Broome Shorthorns awarded one of the winning entrants - Emily Eather with her prize – A 12 month old heifer – Broome N Wallflower D183. It is estimated that around 12% of the world’s sheep population are ‘cleanskins’ (often referred to as ‘hair sheep’) and the numbers are increasing steadily. Over the past decade we have seen a massive shift to all breeds of cleanskin sheep in Australia, some established breeds and others newly developed. 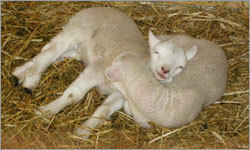 As the world wide demand for animal protein increases producers are looking for economical ways of producing sheep meat. 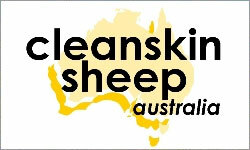 The current world wool markets remain depressed and the domestic sheep industry struggles with traditional breeds and high input production systems – simple arithmetic dictates a change - the popularity of cleanskin sheep breeds is expected to continue.